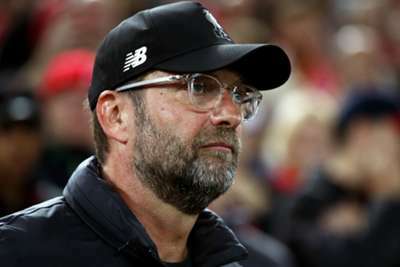 Liverpool manager Jurgen Klopp must deliver trophies now at Anfield, former defender Markus Babbel has warned as the Reds challenge in the Premier League and Champions League. Not since 1990 have Liverpool celebrated a league title, while the club's last piece of silverware came via the EFL Cup in 2011-12, but they are flying high this term - unbeaten and level with Manchester City and Chelsea atop the table. Significant transfer investment and last season's run to the Champions League final have Liverpool fans dreaming the drought could soon be over under Klopp. After splashing out £75million on Netherlands defender Virgil van Dijk in January, the Reds spent a then-world record on Brazil goalkeeper Alisson, while Naby Keita and Fabinho were also big-money signings in the off-season. Babbel was on Liverpool's books from 2000 until 2004, winning the UEFA Cup, UEFA Super Cup, FA Cup, EFL Cup and Community Shield, and the ex-Germany international insists it is time for Klopp to bring silverware to Merseyside. In an interview with Omnisport, Babbel - who is now head coach of A-League side Western Sydney Wanderers - said: "The club decided they have to do something. I was listening to [Manchester United manager Jose] Mourinho, he wanted to have Van Dijk. He cost this money. This is the price and market. "For me, [Van Dijk and Alisson are] top signings. Now we can say he's not too expensive. The business is crazy. If you have the feeling there's a problem in a position, you have to get the best player in that position and Klopp found it in Van Dijk and Alisson. "They are doing well, especially Van Dijk. The defence is different now - much better with quality there. Now they have a big chance to win trophies. "Klopp knows he doesn't have 10 years to win a trophy. He has to win now. At the beginning, believe in him. The performances have been getting better. Now it's time to win something. "It's nice to finish second, third or fourth but Liverpool need trophies. This is what you're looking for as a club like Liverpool, Bayern Munich, Manchester United ... not to finish second or third, this isn't good enough anymore." Liverpool travel to Huddersfield Town on Saturday following the international break, having won six of their opening eight games - scoring 15 goals and conceding just three. "As a supporter, I'd go to Anfield," Babbel added. "I like the way they play; very attractive, quality players on the pitch. I love to watch them at the moment. I would spend money for them."